How can Word Association be a powerful tool in analyzing Social Conversations? A part of data tracking using analytics that can also provide succinct insights is word association by topic. Word association is derived from mentions and can also be used to find common keywords in two different topics. For instance, two different academic institutions can have common keywords in terms of tuition fees and courses. What we understand from common keywords across different brands can unearth many actionable insights about consumers and in turn help companies engage better with their target audience. 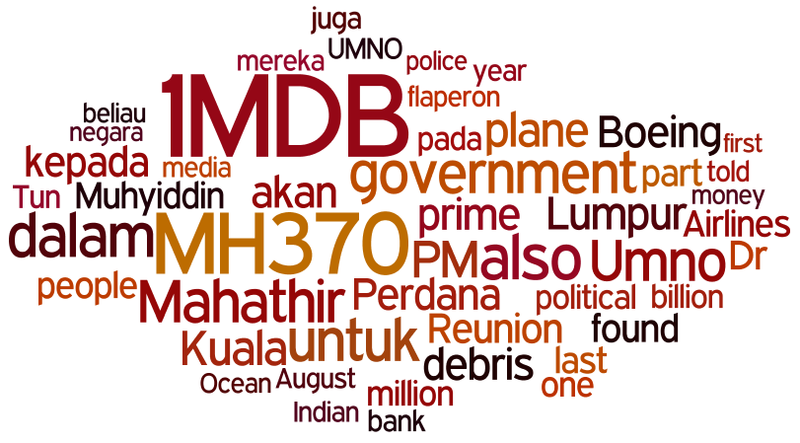 Case in point, between June – August 2015, top words associated with Malaysian PM Najib Razak were “1MDB”, “MH370” and “Mahathir”. These keywords were in relation to social buzz surrounding 1Malaysia Development Berhad. Most of these mentions originated from online news portals which reported on the progress of the case. Besides that, PM Najib was also associated with missing plane MH370 as during this time frame, a portion of the plane had been discovered and the Prime Minister had confirmed this discovery. Additionally, former Malaysian PM Tun Mahathir had been associated with PM Najib over the former’s presence during a peaceful demonstration in Kuala Lumpur. From this, we observe that word associations on digital media are able to provide an understanding of existing topics. Another example is that of Singapore’s Prime Minister Lee Hsien Loong, whose top associated words were “PAP”, “GRC”, and “election”. Contrary to PM Najib’s top associated words which were of varied topics, PM Lee’s top associated words were of one topic – elections. PM Lee is the Secretary-General of the People’s Action Party (PAP), and as the country faces an election in September, online media were abuzz with mentions related to its Group Representation Constituency (GRC). PM Lee had asked the Electoral Boundaries Review Committee (EBRC) to reduce the average size of the Group Representation Constituencies (GRCs) to less than five members. Generate a quick laundry list of new product/service offerings to fill the void experienced by your customers. Besides that, Google Trends acts as a good complement to existing data derived from social buzz. 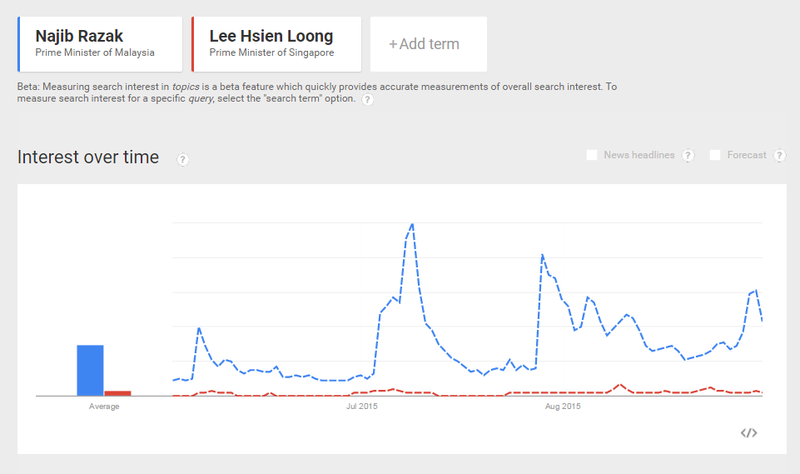 Between June and August 2015, worldwide Google searches for both leaders demonstrate that PM Najib experienced more searches than PM Lee, in lieu of media coverage of 1MDB. Google Trends provide total search volume worldwide and offers another point of view for Analytics, as it is driven by trending searches rather than social mentions. In addition to that, word association is one of the many aspects that can be used during mid-campaign reporting in order for companies to have an approximate idea of an ongoing campaign. Social analytics is the new foundation for understanding an audience as people are always logged into their social networks. 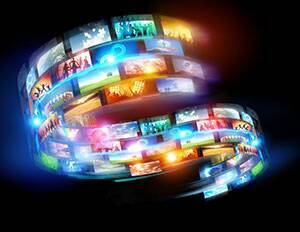 For new-age brands, gaining insights from honest and raw data is akin to dipping a thermometer to measure a consumer’s current mood. Analyzing Fads : What Makes ‘Swag’ so ‘Swaggy’?